Tarot card readings have been a part of my life since my teens when I first picked up a deck and started to self-divine on my own behalf. I was in love with the story that inspired the tarot, one that users of the cards sometimes don’t take the opportunity to know firsthand before diving in with their questions. The tarot’s Major Arcana starts with the Fool and tells the story of a cycle of life in 22 cards. It basically begins with a blank person or direction who or which then goes on to meet all of the normal challenges of life gaining tools and wisdom along the way as well as being presented with certain tests that create character and determine fate. Whether just being born, changing life or looking at the cards in relation to a contemporary situation, this cycle can be used to illustrate the specific issues on any path. Then, all of the other cards represent challenges, gifts, concerns, circumstances, and considerations that can take place surrounding any of those life moments within the life cycle at the particular place you are at broken up into different categories that reflect permutations of things like work, love, etc. Oftentimes when people are skeptical about tarot, I tell them the story behind it and suddenly it makes perfect sense. In reality, those who seek questions and pull the cards are really choosing what they want and need to hear at any particular time. When a professional reader steps in the questioner becomes reliant on the reader’s intuition and translation of the cards at hand. A few months back I tried my first tarot reading via Skype with a well-known reader in New York named Nancy Stark who blew my mind. Looking at each other through the computer screen across the coast was surreal as she whipped out her deck and started to lay it out before me, proceeding to tell me things that were all completely true. 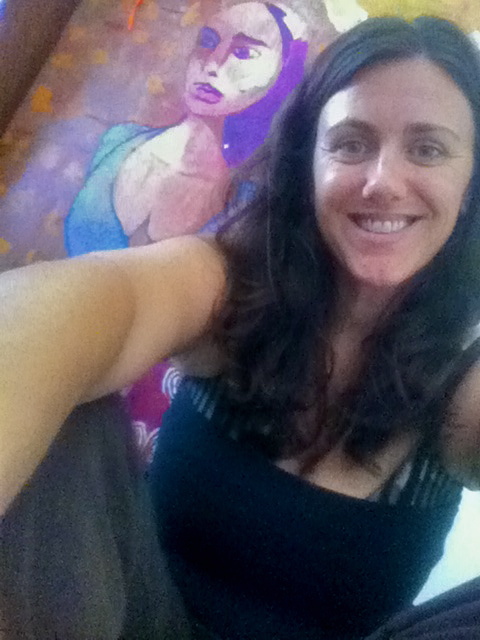 She agreed to speak with me about her art after telling me that at 41 I was finally growing up. It happens to the best of us. What do people need to know about tarot before getting a reading? They don’t need to know anything, as I do all the work. Bring an open mind, and from time to time I might ask if you are following or getting my meaning to make sure you understand what I am conveying. Sometimes the person might say “That’s not me “ and their friends, who have been invited to listen, will say I have them down to a T.
Explain how tarot works, what is the process that occurs when a person comes to you which allows for you to self divine on their behalf? The Tarot as a method of divination is an old art. There have been many books written about it, but the bottom line is the reader’s intuition. As a reader, I have to translate the myriad of symbols and relate them to the person I am reading for as an understandable whole. When reading the Tarot, I draw from my studies of the cards, the symbols used, but mostly my insights, which have been enhanced from years of spiritual practices and meditation. I have also studied and practiced Yoga and Tai Chi, and the philosophy underlying these great practices. They all have opened my understanding of life in a profound manner, as well as emphasizing the ethical aspects that need to be respected. 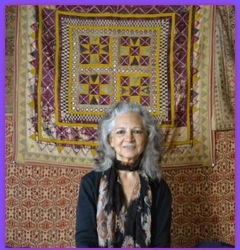 I have been practicing the Tarot, Palm Reading and Astrology for over 40 years. The archetypal nature of the cards can open the reader’s mind to uncharted territories of the person being read and when these are conveyed to the client, I have been told, that it has opened their life to new possibilities of expression. It can be a very empowering experience, and a source of healing. Knowledge is power. As I read the cards I perceive possible events, situations, states of mind, and choices as well as identifying karmic patterns, that when understood can be better resolved. By consciously participating in your life, rather than blindly reacting to what is in front of you, you can more effectively choose what is best, and better participate in fulfilling your destiny for a better outcome. I was introduced to the Tarot, Chiromancy, (reading the lines in the hands), and Astrology by my family. They were psychic and when a problem arose they consulted the Tarot, palms, or Astrology for guidance. When I was 13 my mother and I moved from Chile to the U.S. I forgot about this great source of knowledge, until in my late 20s, when at a party, we used Tarot cards as a game, reading each others fortunes from a book of interpretations of the cards. I read one of my friends, did not use the book, and with a sense of great enjoyment and freedom, told him him many things, which to me was a story full of excitement and wonder. I couldn’t wait to see what was coming next, an experience I still enjoy. My friend left the country for about a year and a half, and when he came back he told me that all I had predicted actually happened. I was as surprised as he was. I had felt so free sharing what came to me. From that time on I started pursuing the study of these great tools of wisdom. Shortly after, I was invited to an Astrology study group led by Mother Zerena, Deaconess of the Rosicrucian Church. After about a year of her classes, I realized that Astrology, Tarot, and Chiromancy synagestically supported and enhanced my understanding and from that point on I started to study them in earnest. I gradually started my practice, and the feedback was edifying. The responses were so positive and made me realize what I was doing was helping to create a change in peoples lives for the better. In the Major Arcana, the first 21 cards mark the Fool’s Journey. How does the Fool’s Journey act as a metaphor for a person’s life, for every person’s life? The Fool Number 0 represents the innocent beginning of a person full of potential who is naive, and open, creative and un-manifested. The Fool’s Journey and growth through life is shown through the Higher Arcana, representing conditions and events in life that promote growth and make us who we become. Zero is the beginning and the end. At the end of our life, we arrive to the same space of wonder and new beginnings. I see the Fool as the blank page, and then all the experiences of life follow, all the challenges he encounters, what he learns, how he grows from them, and eventually he graduates and transitions to another state of being. When reading the cards I talk about your present situation, your place in the road of life, discussing the lessons you are experiencing in life, to better understand them, and the best way to grasp and to deal with situations, to foster spiritual growth, meanwhile never neglecting the practical aspects. My favorite card is Death, meaning death of the old to make room for the new, also the death of the ego centered “I” and self-delusion. We need to die to this limited state of being before we are metaphorically reborn. It is the card of transformation and regeneration. The Death card can also mean the end of physical existence. I love this card because it pushes you forward, to grow and to appreciate the spiritual side of life, which has so much to offer, like joy, understanding, and oneness with all there is. What should people do with the information they receive at a reading? People can use the insights I offer them as a departure point to delve deeper into their life. One has to do the homework, by making an effort to change and deepen their understanding in a fuller and more profound manner, using the suggestions I have given for greater growth and empowerment. How can people contact you to set up a Skype reading? They can email me at karma9@earthlink.net. Nancy also reads in person at Raoul’s Restaurant in New York City. You can visit her website to learn dates and times.